The Carisbrooke Castle Museum was opened in the gatehouse of Carisbrooke Castle in 1898 by Princess Beatrice, the youngest daughter of Queen Victoria. Princess Beatrice was the Island Governor of the Isle of Wight, where the Castle is found, and created the museum as a memorial to her late husband, Prince Henry of Battenberg. 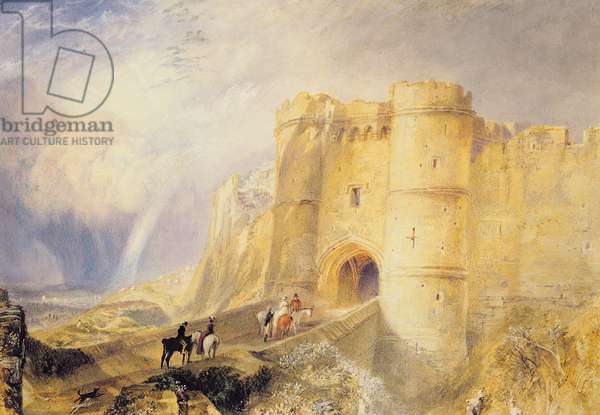 Much of the original collection is concerned with King Charles I, who was imprisoned in the castle for the last year of his life, but the museum is also home to collections of costumes, textiles, pottery, social history and paintings, (including JMW Turner’s watercolour of Carisbrooke Castle) that relate to the history of the castle and the Isle of Wight.